The streaky graduating quality to the colour of the Blue Glazed Egg Pot is aesthetically pleasing. 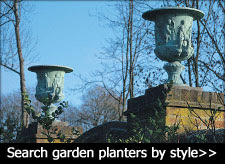 The Blue Glazed Egg Pot is available to purchase online in three generous sizes, the extra-large Egg Pot offers a huge planting capacity capable of housing most half-specimen trees. Lush green grasses and scarlet, pink and canary yellow flowering annuals work well against the blue glaze. Please Note. Main image shows blue, streaky green and olive green glazed in situ. 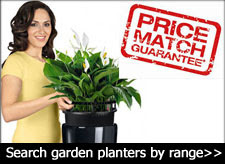 Large Glazed Pots are frost resistant and guaranteed against frost damage for 10 years. 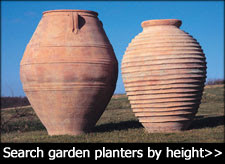 A central drainage hole has been pre-drilled into each garden pot. 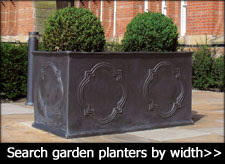 Glazed garden terracotta pots are easy to maintain. To clean, wipe down with a cloth and soapy water.